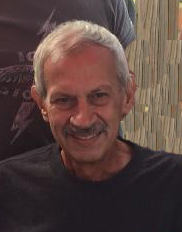 NEW FRANKLIN---Maurice Rose, our beloved husband, father and grandfather passed away Saturday, March 16, 2019 after a mighty battle fought valiantly against pancreatic cancer. Maurice made friends with everyone he met and lived life to the fullest. Riding his Harley all over the country or fishing on his boat were his favorite pastimes. He will leave a void in the lives of all who knew him. He was born in West Virginia and particularly loved riding his Harley on those long, curvy roads in the Fall. He retired from Albert Screen Print Inc. after 44 years of service. Maurice leaves behind his loving wife Lois; sons Douglas and Nathan (Lindsay) Krummel; grandchildren Trenton, Jenna and Allie; sisters-in-law Betty (Bret) Harsh and Amy (Bob) Huston; father-in-law Bryce Lipscomb; mother-in-law Bertha (Bob) Bailey; brother Neil (Kathy) Rose; sister Tammy (Jodi) Gildersleeve; and special friends Al Faulkenstein Jr., Troy, Tom Seese Jr. and Pam Wanko.